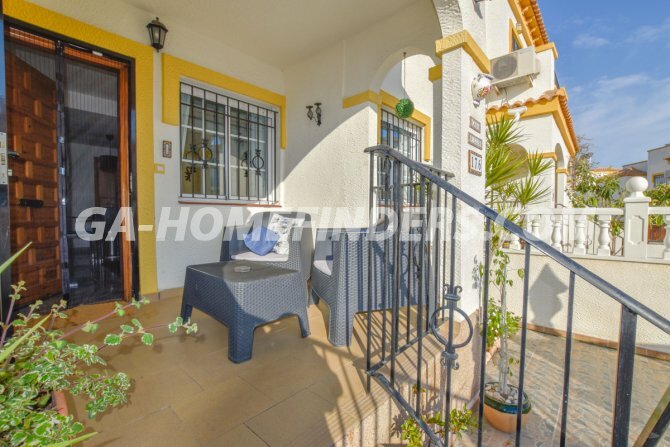 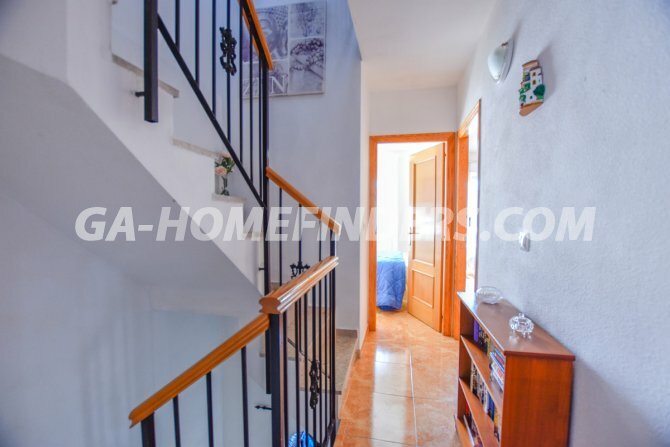 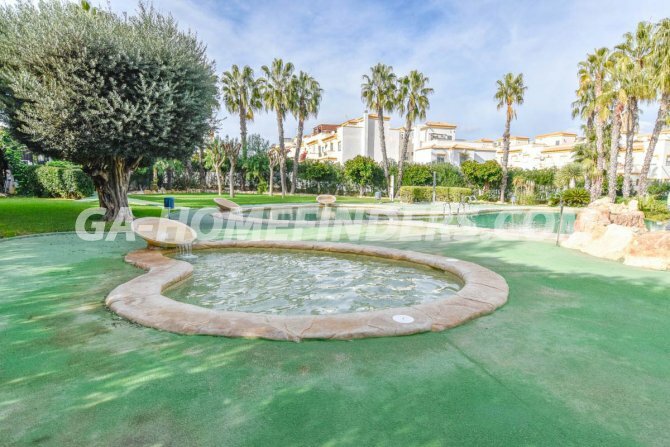 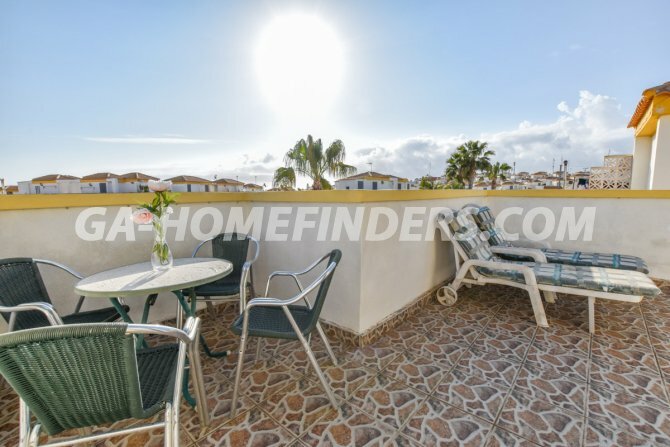 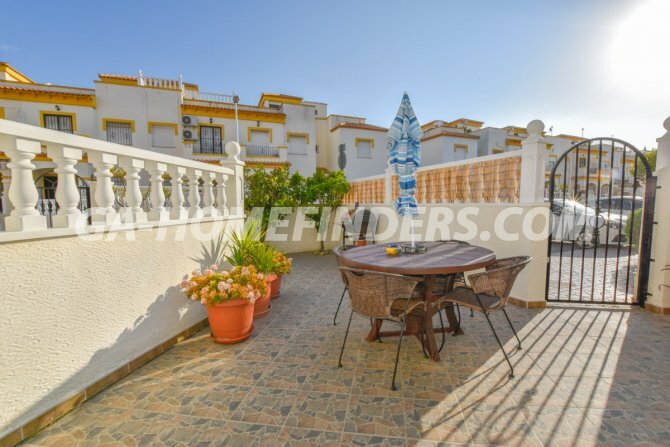 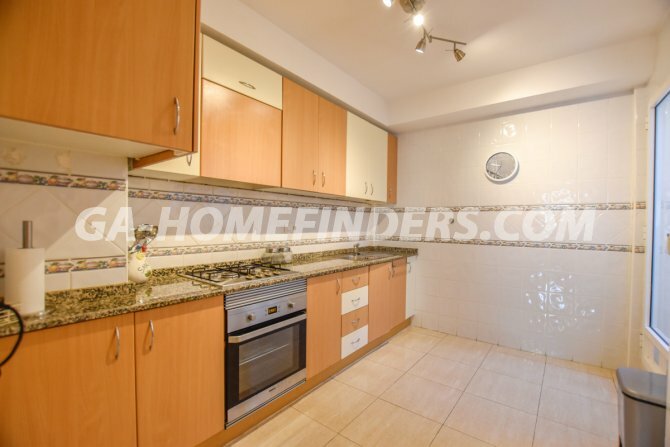 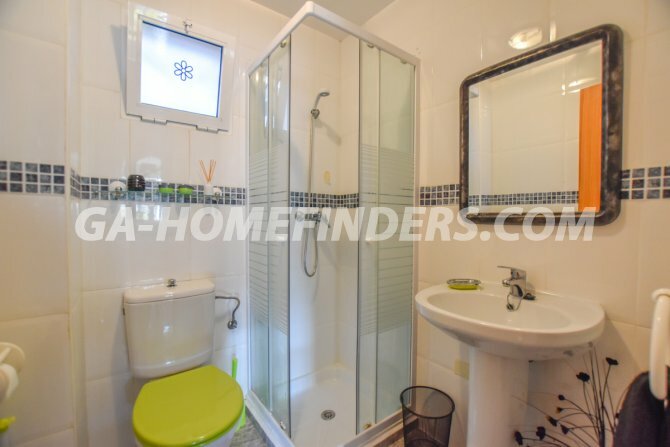 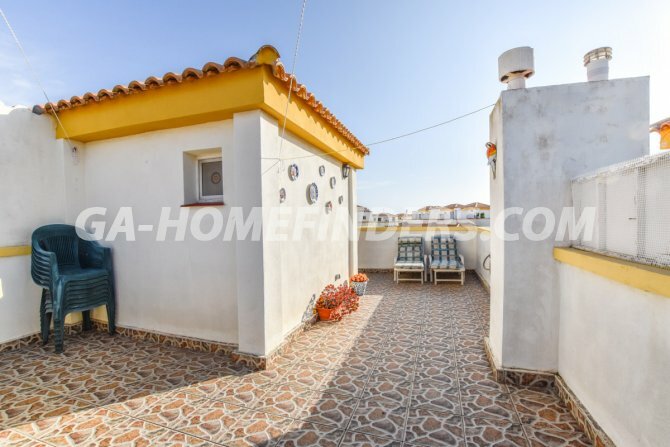 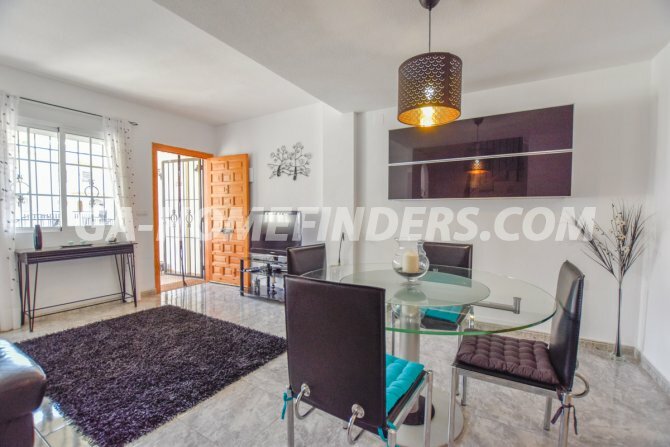 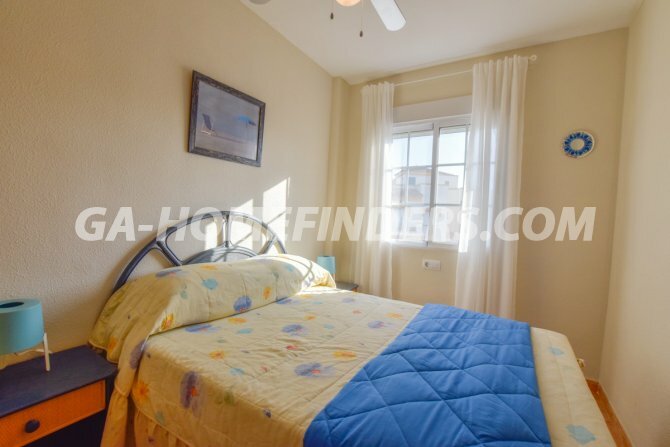 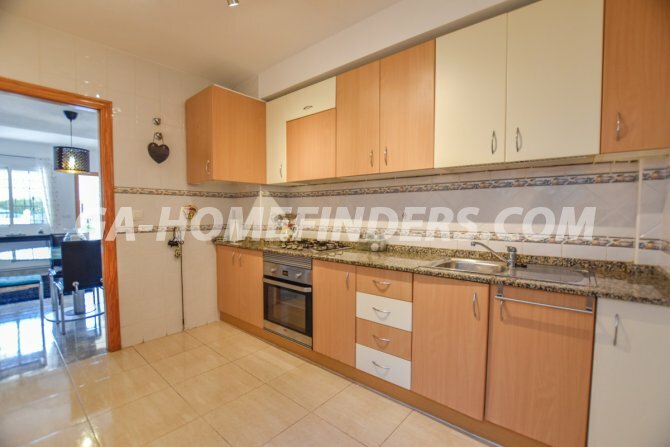 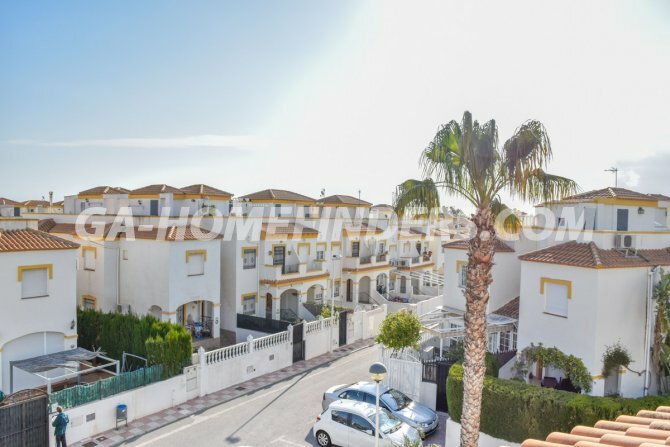 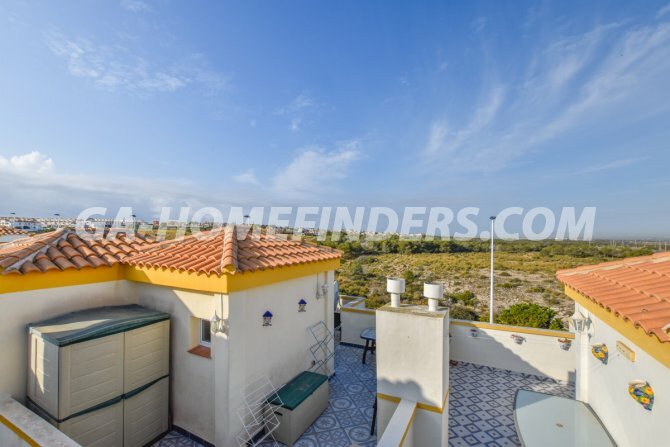 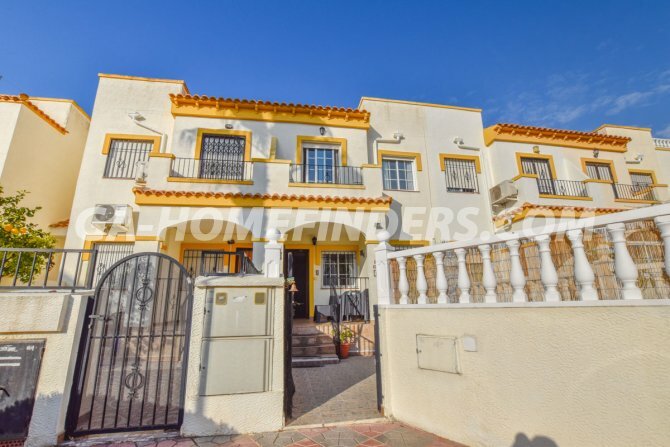 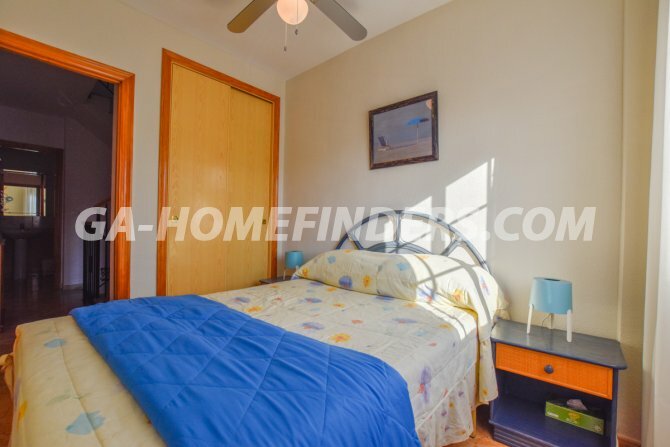 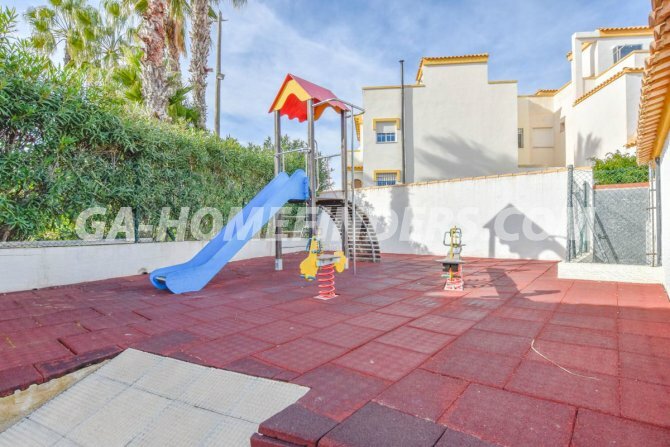 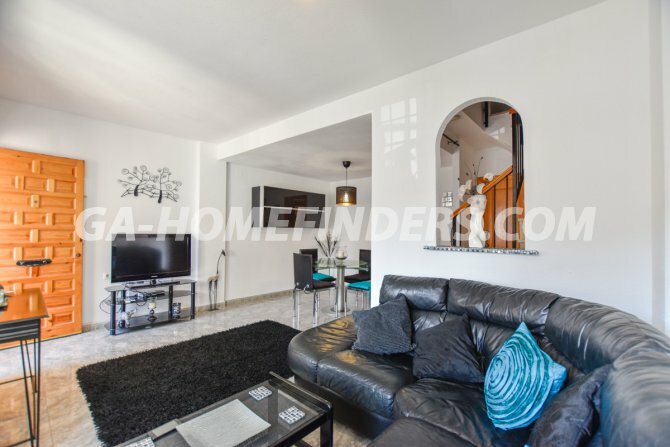 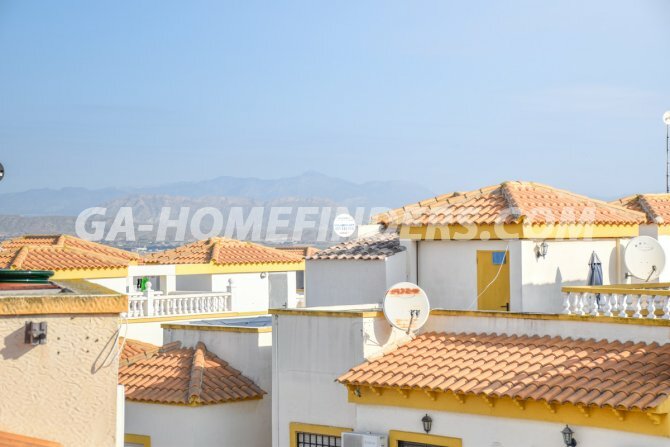 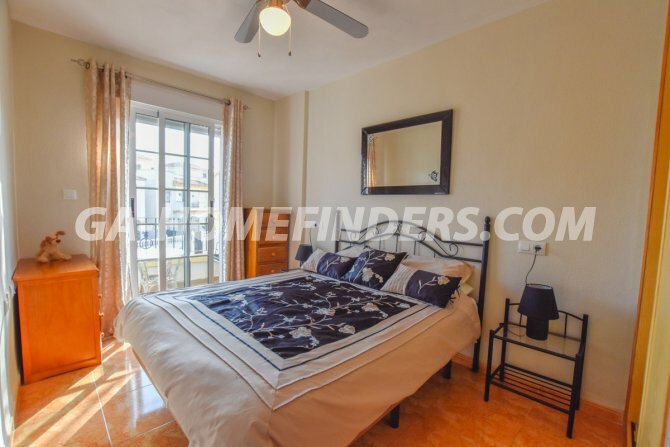 Townhouse furnished with three bedrooms and three bathrooms. 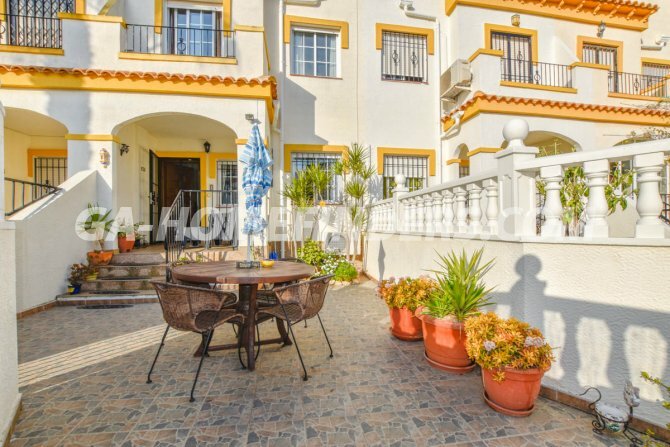 At the entrance of the house there is a large terrace with a porch. 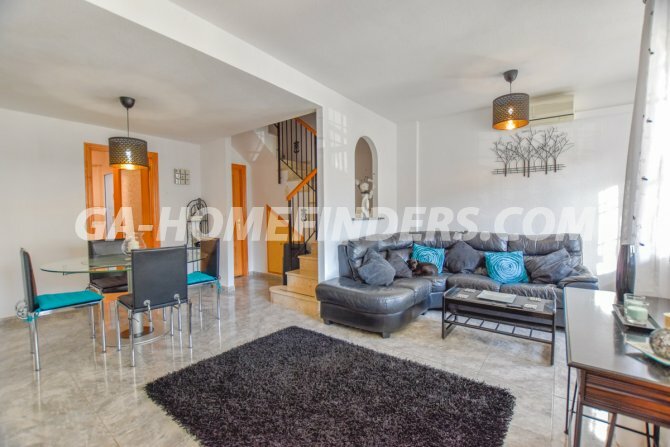 The ground floor comprises of a large living room with air conditioning (hot and cold), independent kitchen with white goods leading to a gallery and a bathroom. 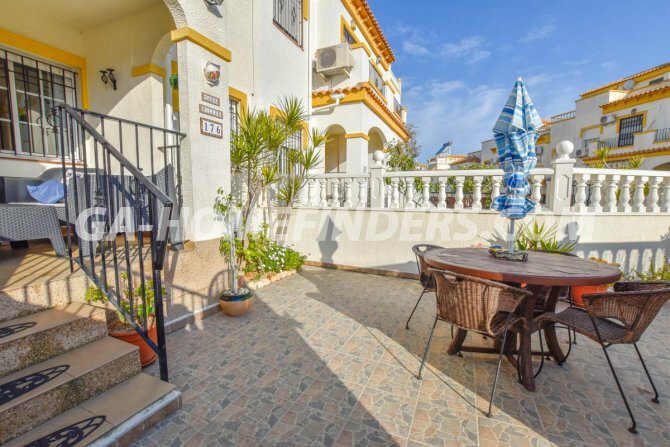 On the upper floor there are three bedrooms, the main bedroom has an ensuite bathroom and a juliette balcony. 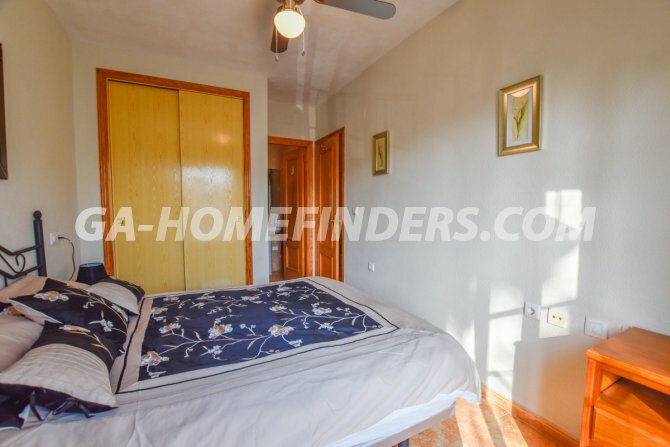 All the bedrooms have fitted wardrobes. 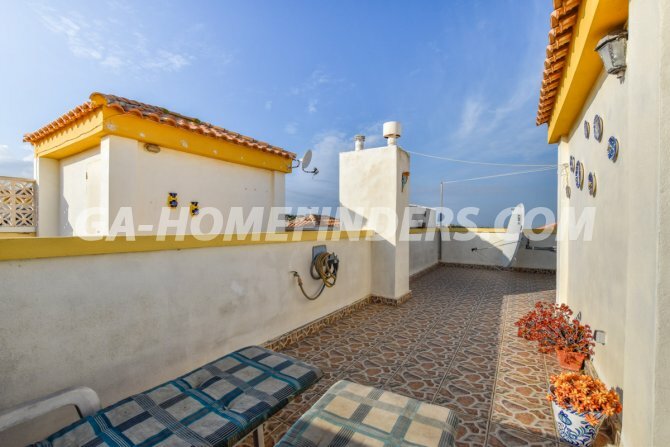 There is a solarium with wonderful views. 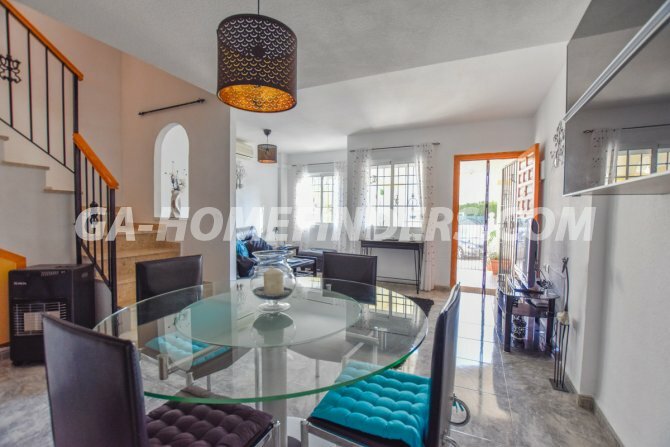 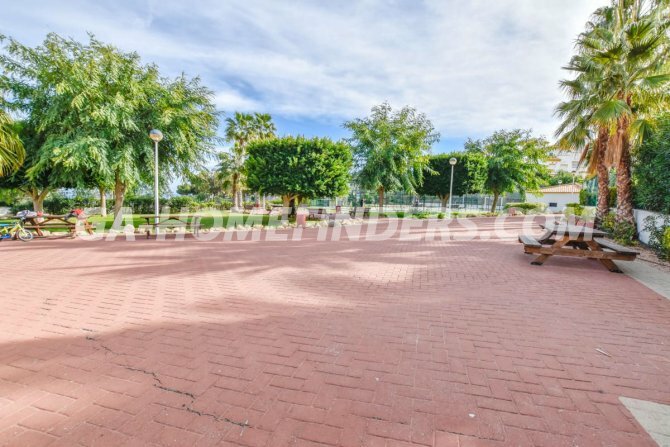 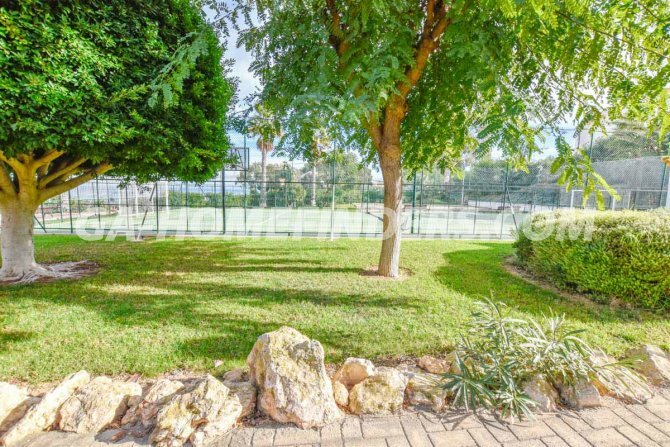 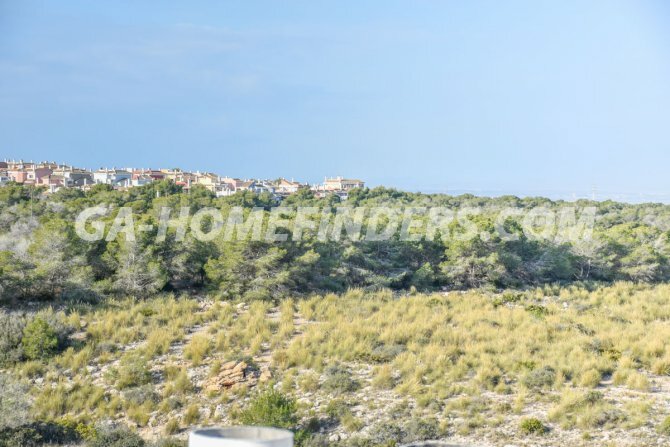 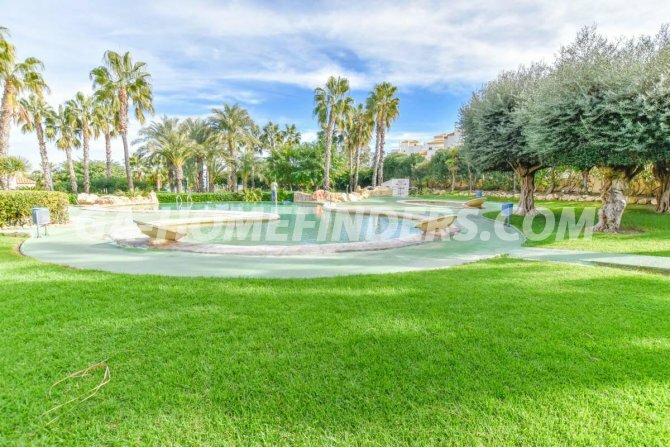 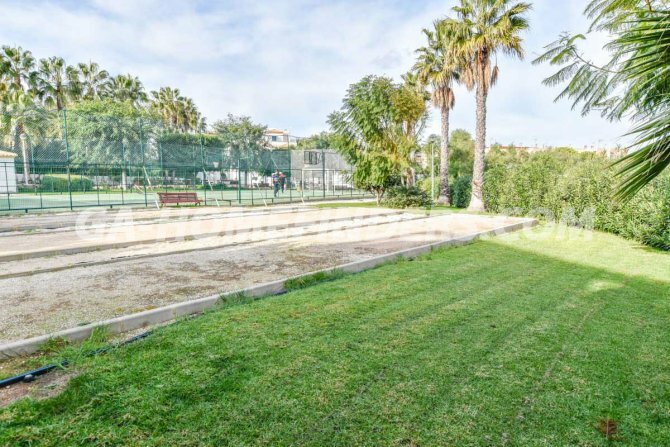 The house is located in an urbanisation in the upper part of Gran Alacant which has a swimming pool surrounded by green areas and a tennis court.